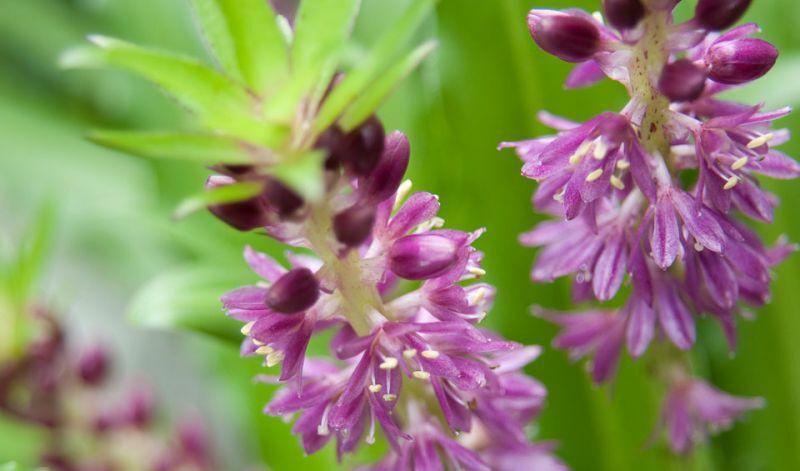 All Eucomis have an unusual somewhat exotic appearance: the flower is formed by a spike of masses of little flowers or florets topped with a tuft of purple-green (reminiscent of pineapple plants). One of variety of this species has bold dark maroon foliage combined with reddish stems and soft pleasing pink flowers that will provide an added dimension for the late Summer garden or patio. 'Sparkling Burgundy' (pink flowers, purple-maroon foliage).